For Jodi Glover, the itch to innovate is not easily relieved. When her husband, an engineer, came up with an idea for a portable water monitoring device, Glover saw that opportunity. Having previously worked with her father at UV Pure Technologies, she had an idea of the challenges faced by the water treatment sector. She quit her job to pursue the venture. Slowly and steadily, Real Tech Inc. grew. In the first year, Glover ran the business alone—her husband joined later, part time. The company launched its first product, a portable device for UV photometric analysis, in 2004. In 2007, it launched its continuous real-time analyzer. Now, the company has developed a full suite of patented real-time water quality monitoring solutions. As the CEO and co-founder, Glover has gained a reputation for excellence. Under her leadership, Real Tech’s products are sold in nearly 40 countries. The company has received numerous awards and has been listed for the past four years on the Deloitte Technology Green 15. 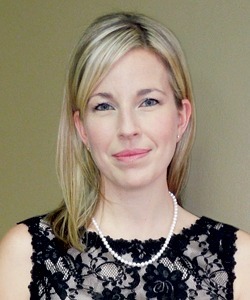 In late 2012, Glover received the RBC Canadian Women Entrepreneur of the Year TPH Sustainability Award. Glover continues to champion research and development, which, she says, is at the heart of her business. The goal is to provide more practical and affordable water quality analysis, and to open doors for analysis that hasn’t been possible in the past. In the future, Glover sees Real Tech’s products advancing into the industrial market.